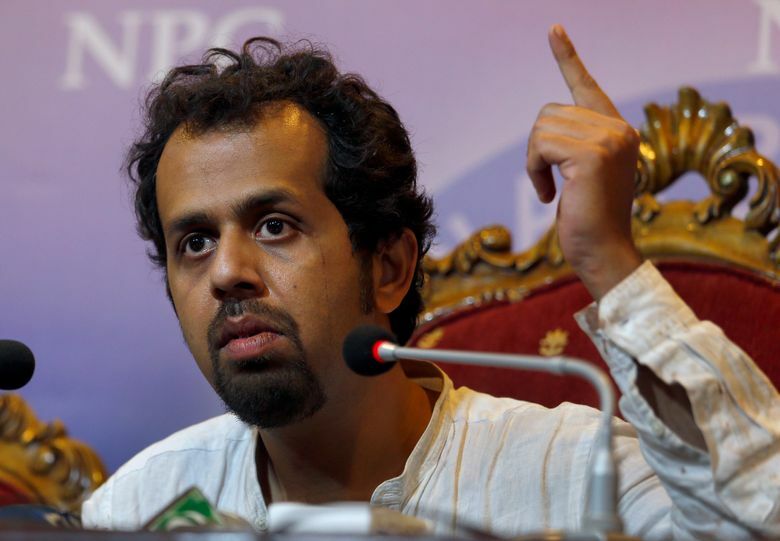 ISLAMABAD (AP) — When armed men tried to kidnap and threatened to kill him, Pakistani journalist Taha Siddiqui feared he would become another statistic in a growing list of activists and bloggers who have disappeared in Pakistan after criticizing the country’s powerful military or advocating peace with hostile neighbor India. Siddiqui, the Pakistan bureau chief for the World is One News, a New Delhi-based 24-hour television news channel, said he suspected the attack Wednesday was payback for his critical reporting on Pakistan’s powerful military and intelligence agencies. Siddiqui was heading to the airport to catch a flight to London when his taxi was stopped. He was ordered out of the vehicle, beaten and threatened. The gunmen took his computers, several hard drives, his telephone and his passport, said Siddiqui, who is also a reporter for the France 24 television network and has had past run-ins with Pakistani intelligence. In May, he received threatening calls from the counter-terrorism wing of the Federal Investigation Agency, ordering him to come in for questioning. Siddiqui, who did not comply, filed a complaint with the courts and said he was told by the FIA that he was being investigated because of his critical stories about the military. On Wednesday, Siddiqui’s World is One News website, was inaccessible in Pakistan. Visitors to the site were told: “The site you are trying to access contains content that is prohibited for viewership from within Pakistan.” It’s not clear when the site went offline in Pakistan. The spokesman for Pakistan’s main intelligence service, the ISI, did not respond to a written request for comment about the attack on Siddiqui. 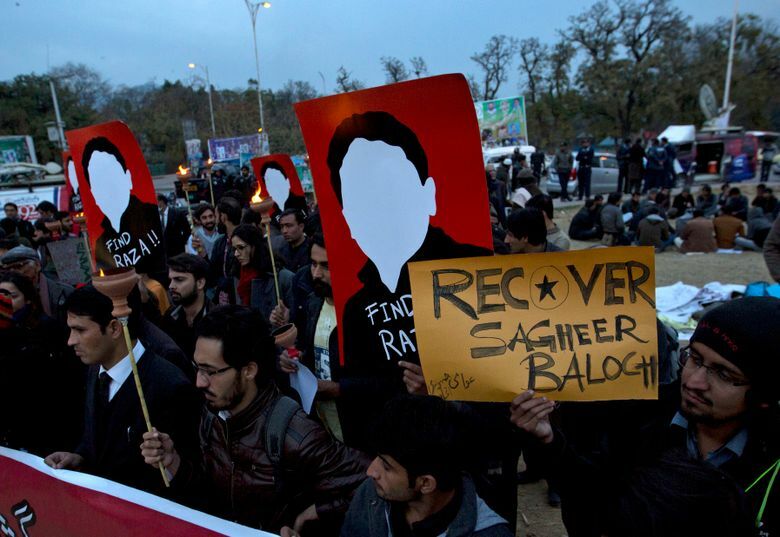 The government says it is investigating the allegations and has set up a commission to investigate complaints of “enforced disappearance.” In its year-end report, obtained by The Associated Press, the commission said there are 1,532 people who remain missing, suspected of being taken by Pakistani intelligence and law enforcement agencies. Among them is peace activist Reza Khan, who was taken from his home in the eastern city of Lahore in December by armed men, who also ransacked his apartment, seizing his computer, his files and his telephone. He hasn’t been heard from since and human rights activists accuse the country’s intelligence agencies of kidnapping him to stop Khan’s attempts to improve relations between Pakistan and India through interactions between school children. Khan’s father, Mohammed Ismail Khan, has gone to the courts to petition for his son’s freedom but has heard nothing since he was taken last month. “The nights are very long for his mother and me. We console each other and we pray for our son. God knows where he is and what condition he is in,” the elder Khan said in a telephone interview. Early in 2017, six bloggers and social activists, all of whom had criticized the military on social media, disappeared. Five were freed and the sixth is still missing. Those who were freed all said they had been held by the country’s powerful intelligence agencies and were tortured. They have all fled the country. 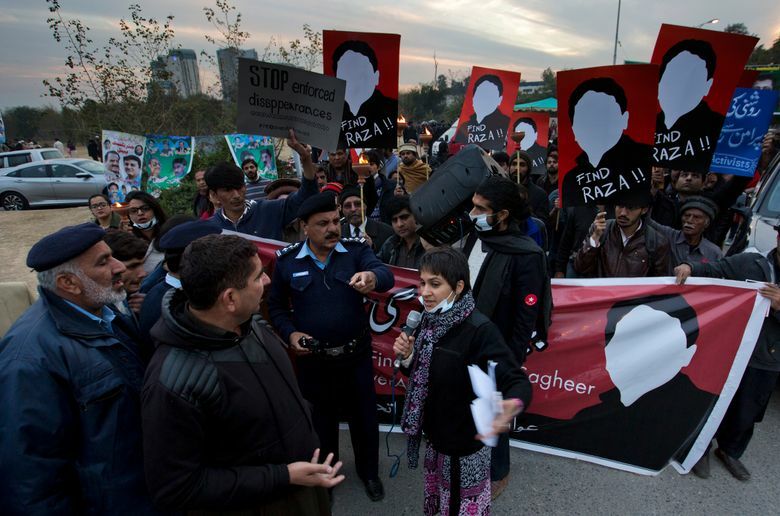 Zeenat Shahzadi, a young Pakistani journalist, was abducted by armed men in 2015 while investigating the disappearance of an Indian national. Pakistani human rights groups blamed intelligence agencies. Local media reports said she was released late last year after being held for two years. Zahid Hussain, a security analyst and author of two books on militancy in Pakistan, said the country’s intelligence agencies have become increasingly sensitive to attacks against the military on social media because of social media’s penetration in Pakistan and the difficulty of controlling it. “Pakistan is very sensitive about anything linked with India,” believing New Delhi has stepped up its covert operations inside Pakistan, he said. Having fought three wars against each other, India and Pakistan, both nuclear weapons states, regard one another with deep suspicion and accuse each other of fomenting violence on their territory. Butler, of the Committee to Protect Journalists, noted the lack of accountability of those behind the wave of abductions.